You will quickly know if you're ever behind schedule at feeding time; a chorus of whinnies, nickers, and even the occasional kick will greet you as you enter the barn. Horses thrive on (and depend on) schedules. But often our schedules change with the approach of the holidays, whether we like it or not. Preparing now can help your horse better deal with the schedule changes that Thanksgiving and Christmas may bring. Your horse is likely most dependent on his feeding schedule, and if this is to change with the holidays, try to make it a gradual change. You can get your horse used to the practice of eating at different times by slightly varying when you feed. Provide your horse with regular hay or pasture during the day, but use his grain to introduce slight change to his schedule. Choose one meal each day and offset it by a half-hour range each day. For instance, if you feed at 5:00 pm, feed at 4:30 one day, 5:00 the next, and 5:30 the following day. After a week of half-hour variation, vary the meal time by a full hour. After your horse is used to that, vary it by an hour and a half. It's best to avoid significant changes in your horse's feeding time, but you should be able to work up to a two-hour variation without issue. If your holiday schedule will mean a change greater than that, then try to find someone who can come care for your horse and keep him closer to his standard feeding schedule. Aside from meal scheduling, you can stir up your horse's schedule with other activities. If you always ride at a certain time, vary it and ride during different hours of the day. 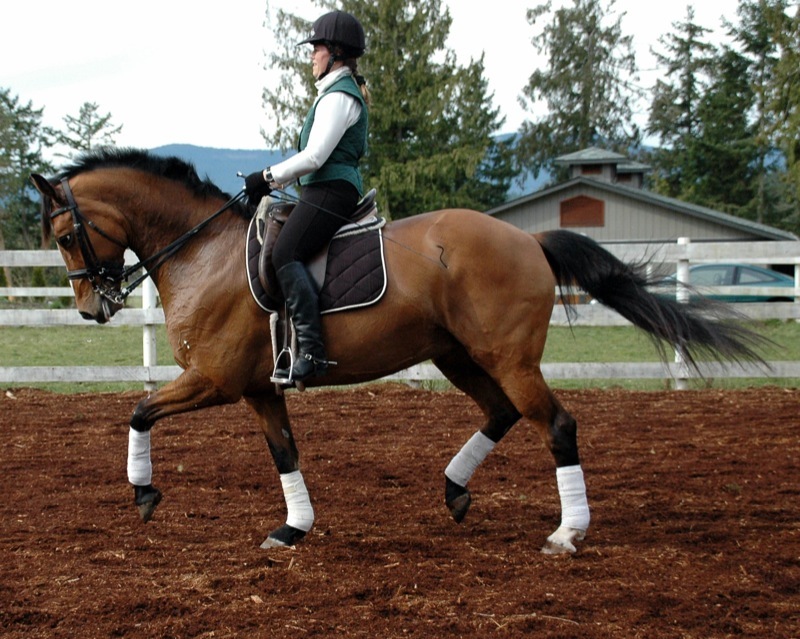 If you always groom your horse on a certain set of crossties, then use a different set farther down the aisle. Ride in a different riding ring, or use different training exercises during your ride. Your horse doesn't have to be totally dependent on a regular schedule; he can learn to be flexible, too. However, horses are creatures of habit; regular schedules can be reassuring to them. As you change your horse's schedule, keep his character and natural tendencies in mind. If yours is a horse who is easily stressed, then take additional measures to prevent stress and be proactive in ulcer prevention. Keep hay or good quality pasture available to your horse all day; forage will provide his stomach with an acid buffer. Adding a probiotic or aloe vera juice to your horse's diet can also help with ulcer prevention. You might consider talking to your vet about your horse's upcoming scheduling changes, since he or she may have some additional recommendations.